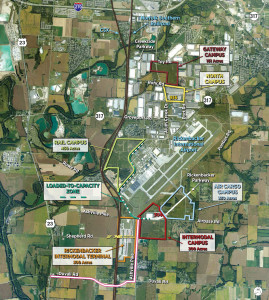 A former Air Force base in Columbus, Ohio—named for WWI fighter ace and Columbus native Captain Eddie Rickenbacker—is the site of Rickenbacker Global Logistics Park, a public-private partnership between the Columbus Regional Airport Authority, Capitol Square, and Duke Realty. The park is capable of handling 28 million square feet of development. In the video featured below, Elaine Roberts, president and CEO of the Columbus Regional Airport Authority, lays out the features that make the park a unique attraction for businesses grounded in logistics. It features great highway access, the largest dedicated cargo airport in the world, and is encompassed entirely by Foreign Trade Zone 138. The rail intermodal terminal for Norfolk Southern is located right in the park, and is a component of the Heartland Corridor Project, providing direct, double-stack, next-day rail service to and from the port of Norfolk, Virginia. Duke Realty Vice President of Leasing and Development Art Makris describes the park’s thoughtful master plan. 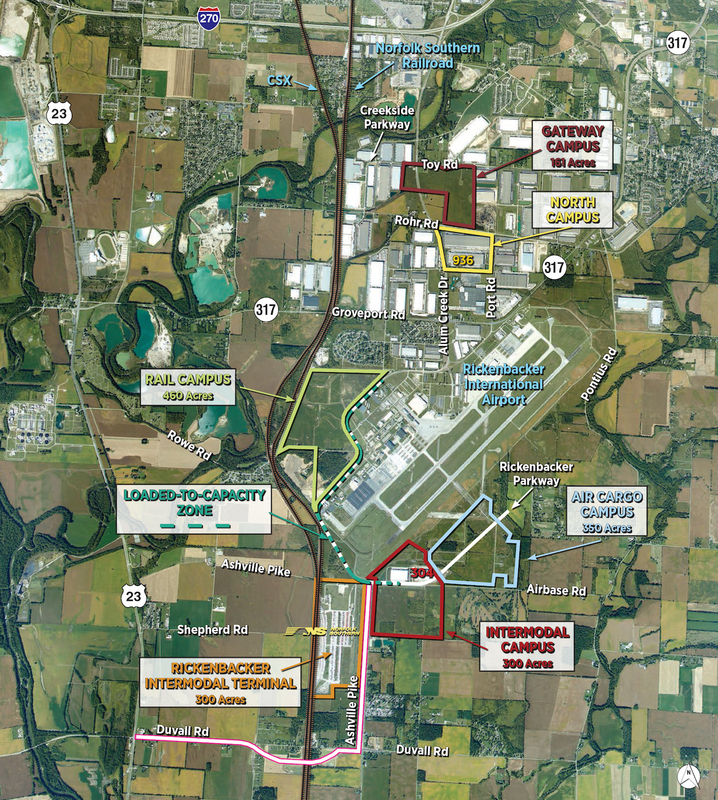 The park includes campuses designed specifically for air, rail, and truck transport, as well as the Intermodal Campus that provides direct access to multiple transportation options including the Heartland Corridor. 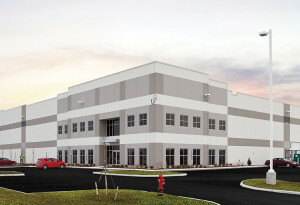 The Intermodal Campus also borders the Rickenbacker Parkway, a trucking route designed and approved for transport of loaded-to-capacity containers. Ron Reynolds, General Manager for Trade Compliance, Logistics, and Packaging for American Showa, is a tenant in Rickenbacker. American Showa specializes in the manufacture of shock absorbers and power steering systems for two- and four-wheel vehicles. They take advantage of Rickenbacker’s loaded-to-capacity access to cut trips for their drivers, which has led to increased efficiency and greater driver retention. The proximity to the Norfolk Southern terminal and Rickenbacker International Airport provide American Showa with additional efficiencies. To find out more about the Rickenbacker Global Logistics Park and its many advantages, be sure to watch the video below.